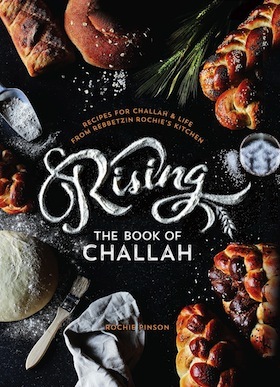 If I wrote that I had been trying to get a review copy of Rising: The Book of Challah by Rochie Pinson (Feldheim Publishers) since November 2016, readers would find that hard to believe, but the book only arrived at my door recently. Pinson, who grew up in Vancouver, is co-founder of the IYYUN Centre for Jewish Spirituality with her husband, Rav DovBer Pinson, in Carroll Gardens, Brooklyn. They have four children. She mentors women and teaches various classes. She also conducts a challah-baking workshop, which she teaches worldwide, including in Vancouver. For Rising, Pinson has written 352 pages about challah. This book is about her philosophy, spirituality, history and everything you wanted to know about challah. And, yes, it includes recipes – 38 of them for challah and seven for toppings. Section I, “The Story of Challah,” explains how, as a new bride, Pinson arrived in Kobe, Japan, which had no kosher bakery, and soon got into making 40 challot a week for the Jewish community. Section II is the cookbook, with reviews and details of ingredients and equipment and troubleshooting. There are eight recipes, including her own classic challah recipe, gluten-free challah and vegan challah; eight holiday specialties, like apple-and-honey challah and pretzel challah; six recipes from around the world, including Moroccan challah, Yemenite challah and Bukharian challah; nine challah innovations, such as a “fish” challah (shaped like a fish with salmon, tuna, mushrooms and other vegetables), a deli challah (with deli meats) and a rainbow challah (using food colouring); and eight recipes for leftover challah, like babka, cinnamon bars and French toasts. Rising also has recipes for seven different challah toppings, including cream cheese frosting, and accompaniments for other dishes, such as challah stuffing and challah croutons. Section III is called “Laws and Customs,” which is mainly self-explanatory, though it also includes challah meditations. A glossary and index conclude the book. 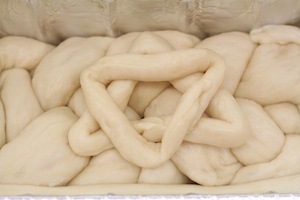 There are more than 100 colour photographs in Rising and many sketches, such as 37 ways to braid and shape a challah. This is the book to give to anyone who bakes challah, and to anyone else who might be contemplating it. Sybil Kaplan is a journalist, author, compiler/editor of nine kosher cookbooks and a food writer for North American Jewish publications, who lives in Jerusalem where she leads weekly walks of the Jewish food market, Machaneh Yehudah, in English. 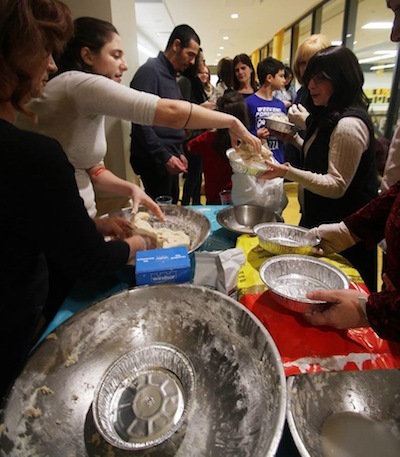 More than 120 women from across Greater Vancouver gathered on Wednesday evening, Sept. 10, for the Community Mega Challah Bake at the Lubavitch Centre. 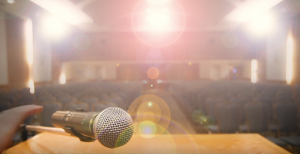 The event was a joint project of N’Shei Chabad of British Columbia, the Chabad centres of Vancouver, Downtown Vancouver, East Vancouver, Richmond, University of British Columbia and White Rock, Congregation Beth Hamidrash and Congregation Schara Tzedeck. First, the women made and kneaded their own dough, led by challah baking expert Rochie Pinson of New York. They then enjoyed mingling and refreshments and a lecture by Pinson about the deeper significance of challah making and Rosh Hashanah. After that, they returned to their baking stations to braid their challah, once again led by Pinson, who demonstrated various methods of braiding. “I had such a wonderful time and I was so happy to see the different organizations coming together for this event,” said one participant as she left with two beautifully braided challahs. Pinson, who teaches challah-baking workshops to women across the world, will be publishing a book about challah baking titled Rising, with an expected release date of fall 2015.